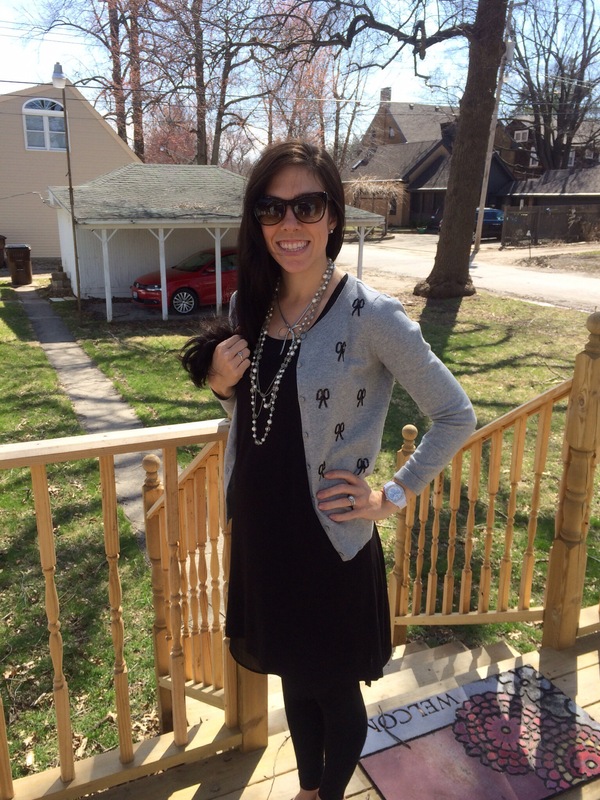 Cardigan: Loft(sold out), but this one from J.Crew is almost identical! Leggings: Gap I love these leggings! I have found that some leggings slide down and stretch out through out the day and I’m always pulling them up. I don’t have to do that with these! Shoes: Old, but really like these and these!! Bow Necklace: Forever 21(old), but this is cute!! Layered Necklace: Forever 21(old), but like this one! Went a on a small fashion haul for Miss Libbey yesterday! I’ll post all of her goodies tomorrow! !